On Saturday, I watched three flying raptors. The closest and most difficult to record, was a falcon: a female kestrel as it left its perch. 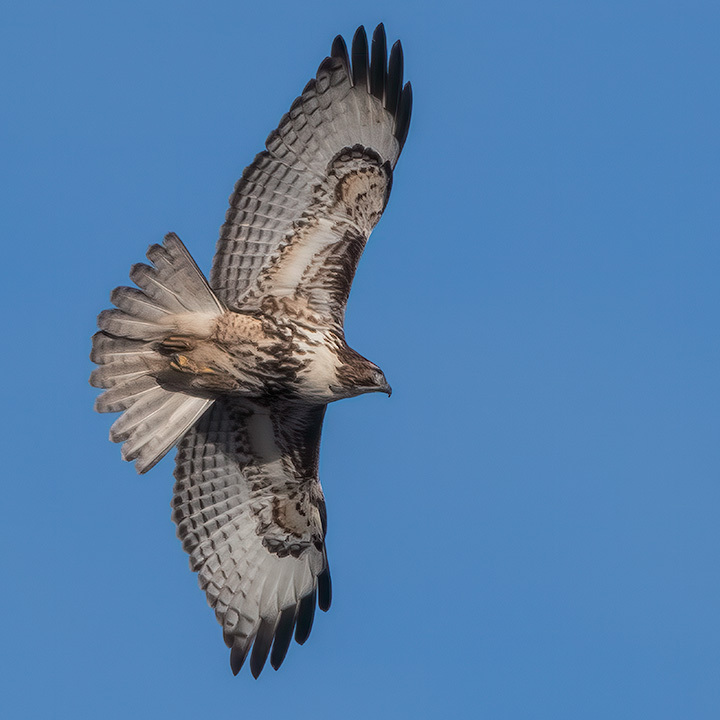 While I saw four Red-tailed Hawks, this soaring one was the only one that made for a good image. So, why does it lack its eponymous red tail? It is a juvenile. Next year it will sport a red tail. 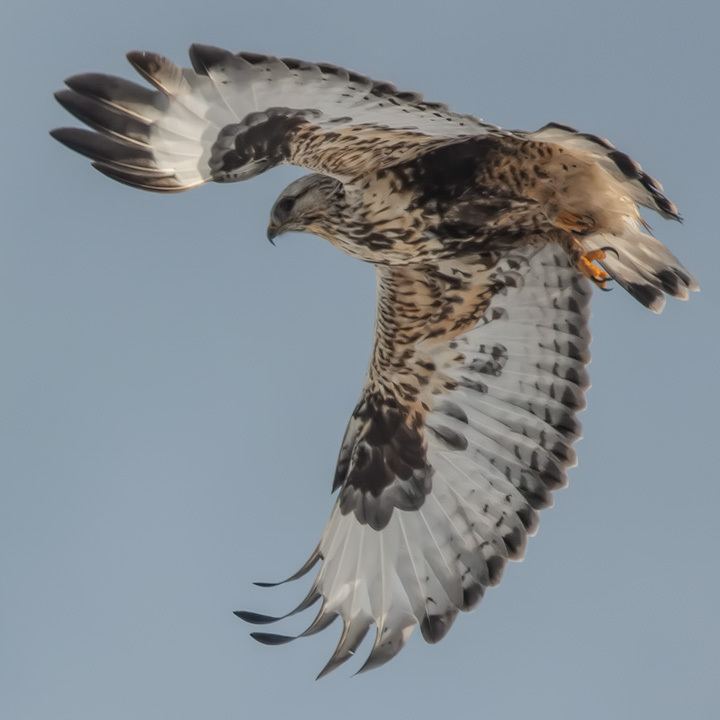 The observational gem, however, was this Rough-legged Hawk. Wow, Alistair…what thrilling “caught” in flight magnificent raptors…many thanks! 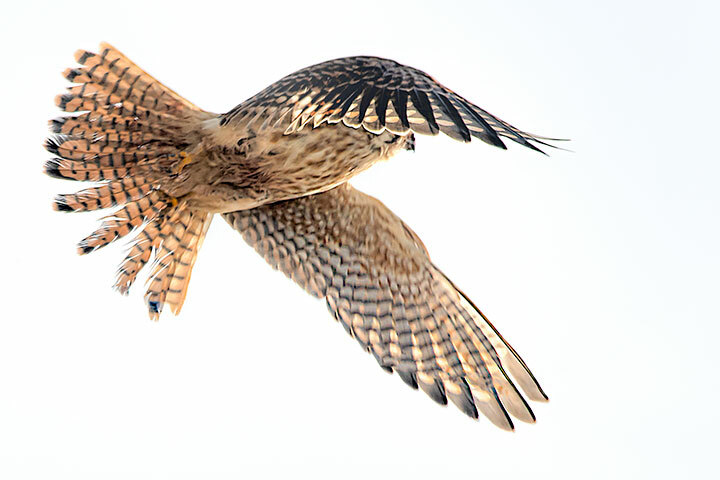 The feather wear on the kestrel’s tail feathers (retrices) is so evident – she’ll probably be molting them soon. I have difficulty discerning between redtails and roughlegs when they perch on poles. Your photos help me a lot if I see them in flight. My wildlife is indoors: tiny pissants and stinkbugs are coming in – a bit earlier than usual. Hundreds of American robins and some redwing blackbirds are hanging around outside. Nice observation of the worn retrices, tina. I would have missed that.